I hope there will be more coffee, coffee, coffee, coffee. So it's been nearly a decade since the last "Gilmore Girls" episode aired on Television. 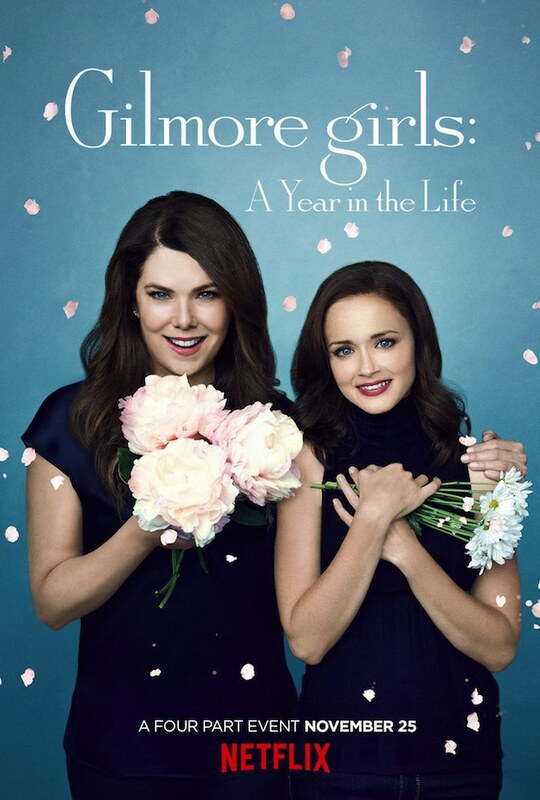 I finished all seven seasons about two weeks ago, just in time for the first installment of the Netflix original series which is now titled "Gilmore Girls: A Year In The Life." There will be four episodes in total, each 90 minutes long. All of the episodes will be named after each of the seasons: winter, fall, (autumn), spring and summer. Everything you need to know about the episodes can be found here. At the end of season seven, I was left with more questions than answers. I have high hopes for these episodes, and can't wait for the first one to come out on November 25th. Some of the posters for the new series has me hoping that one of my questions is definitely answered. Why does Rory have her hand covered? Could this mean that changed her mind, and reconciled with Logan? Or did she meet someone new? This poster has me asking more questions that I had before! No matter what, I will always be #TeamLogan.